'Red Dog', the celebrated film which opened the AICE Australian Film Festival in Israel a few months ago, scooped a swag of accolades at the Inside Film (IF) awards in Sydney. 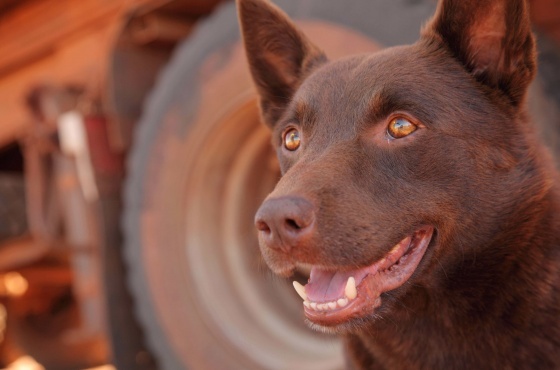 The film - about a kelpie called Koko that brought together a remote mining community in Western Australia - won seven awards on Wednesday night at the ceremony in Luna Park, including best director (Kriv Stenders), lead actor (Josh Lucas), music (Cezary Skubiszewski), script (Daniel Taplitz) and cinematography (Geoff Hall). The awards are voted by the Inside Film audience. Producer Nelson Woss, who travelled to Israel as a guest of AICE for the Australian Film Festival, was in attendance to share the limelight. 'I think it's uniquely Australian and everyone involved in it had a lot of fun and I think that comes through in the film,' he told AAP. The film, based on Louis de Bernieres's novel, has earned more than $20 million in Australian in 16 weeks, making it one of the top 10 Australian films.